​This Will Be So Much Fun ! 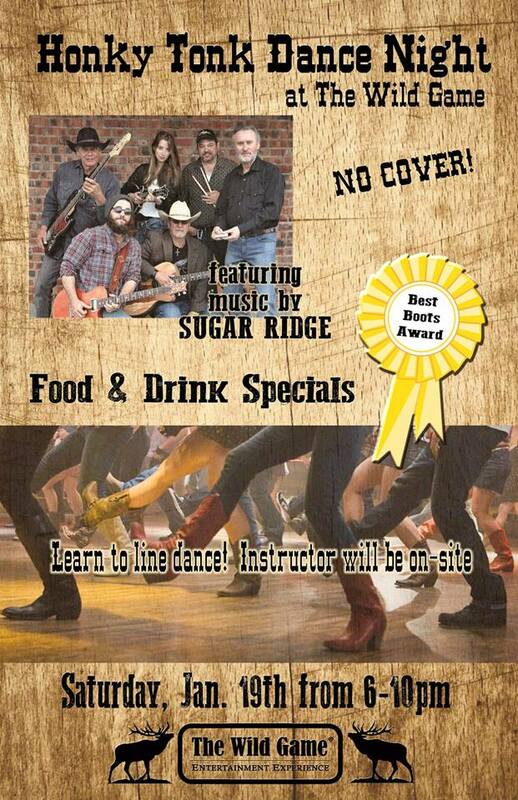 See Ya There For This Ton Of Fun, Live Music, Dance Instruction, Food & Beverage Specials and Prizes for "Best Boots" on the Dance Floor. Country Honky Tonk Dance Night !